Jamaat-e-Islami chief Siraj-ul-Haq on Monday announced a reward of Rs 100 crore to anyone who "arrests" Indian Prime Minister Narendra Modi. Speaking at a gathering at Rawalakot in Pakistan-occupied Kashmir, he said that even after announcing a reward of Rs 50 crore, India has not been able to arrest jihadi leaders like Hizbul Mujahideen chief Syed Salahuddin. 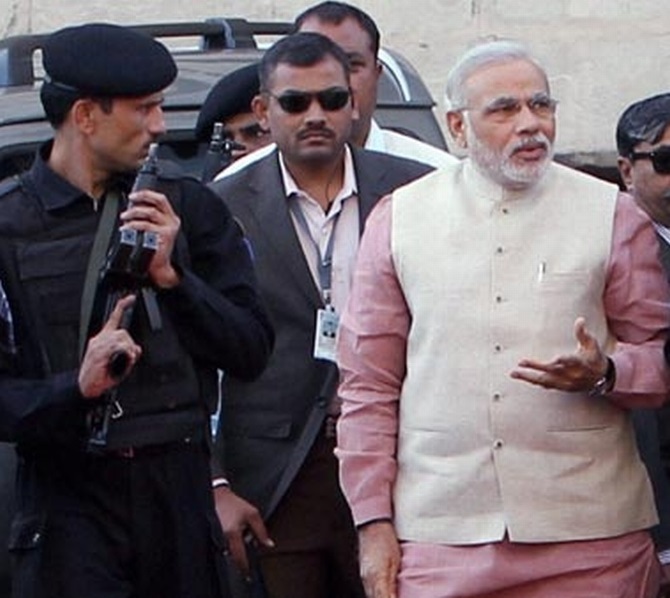 “I want to say to Modi, you and your agents were not able to arrest Salahuddin. You (Modi) announced a Rs 50 crore reward to anyone who arrests Salahuddin, I will give a reward of Rs 100 crore to whoever arrests Narendra Modi,” Haq said addressing his party members. Haq added that the Indian government was a ‘hurdle’ for Kashmiris to get ‘independence’. While stating India can never be a friend of Pakistan, the JI head also lambasted Pakistani leaders for being 'deaf, dumb and blind to the sacrifices of Kashmiris'.